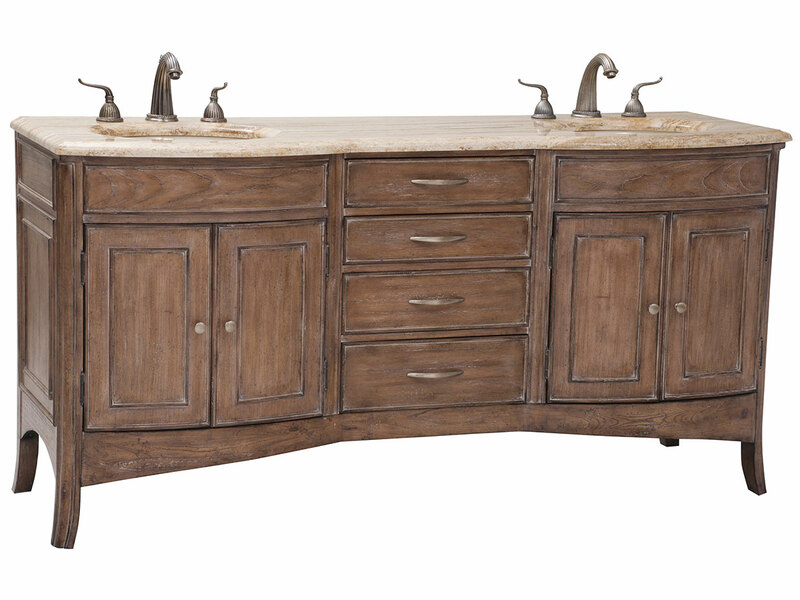 Featuring ample storage space and a classic oak finish, the 72" Verona Double Bathromo Vanity is a versatile, yet stylish vanity for any style bathroom. Its traditional looks come from its limed oak finish and travertine top, while the dual double-door cabinets and 4 spacious, central drawers offer tons of storage space. You'll love its simple looks and high versatiliy! Faucet options available in drop-down menu. Comes installed with Balsa porcelain sinks.